In a recent online poll by CBC, 41% of respondents agreed that homeownership is not a right and that renting is a fine alternative (CBC). Yet almost 70% of Canadians own a place. Seems like the Canadian dream is one and the same with the American dream. But how about the rest of the world? 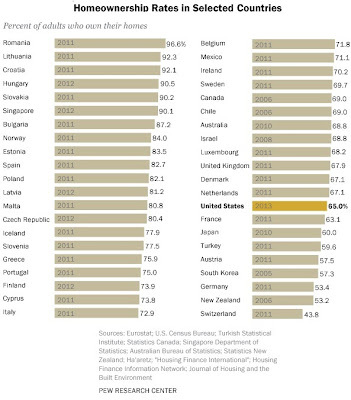 The table below shows homeownership rates in a wide variety of countries. 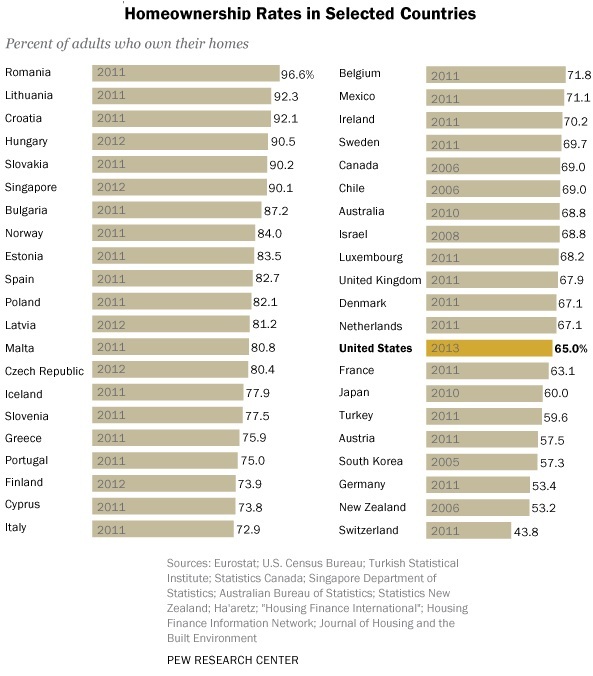 Notice how Eastern European countries have the highest homeownership rates in the world? This phenomenon can be partially explained by the fact that many Eastern Europeans still live in rural areas and either inherit property or build their own. Another factor that led to the high homeownership rates in Eastern Europe is the rapid privatization of public rentals in the early nineties. Other countries that stand out are Germany, Switzerland and New Zealand. While Germany has never experienced a housing bubble, both Switzerland and New Zealand have. I find it surprising that these two countries have such low homeownership rates. According to Statscan, the 2006 homeownership rate in Canada was 68.4%. The table below shows the breakdown of homeownership rates for households by provinces and territories. Interestingly, the highest homeownership rate in Canada is in Newfoundland and Labrador while the lowest is in Nunavut. 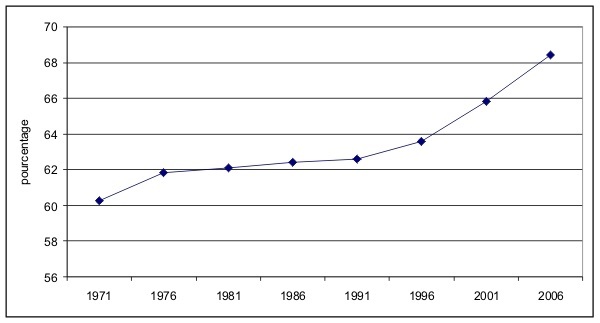 Another graph shows the historic homeownership rate in Canada between 1971 and 2006. The data points for the homewnership rate are collected by Statscan every 5 years during the national household survey (Census). The homeownership rate statistics for 2011 will be published by Statscan on September 11, 2013. 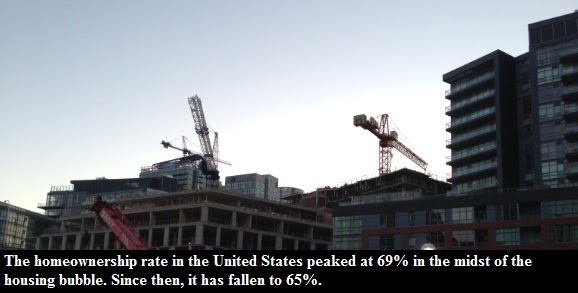 It is widely believed that the homeownership rate in 2011 exceeded 70%.